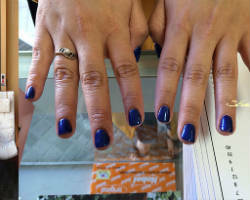 Akua Nail Salon has a philosophy that beauty comes from within. 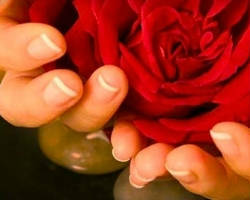 Its team of experts sees to it that your nails, hand and feet are protected with natural nails. Akua Nail Salon is an organic nail spa that adds in its process of nail care only fresh fruits, veggies and essential oils. They believe that these natural ingredients provide maximum healing properties. 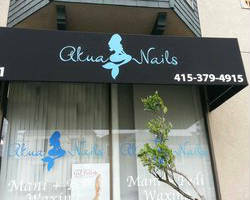 Akua Nail Salon is a green company and promotes eco-friendly nail polish products, healing treatments and formulations. How do they work? These brands are actually all free of toxic and synthetic dyes, bringing the most natural glow to your nails. For a real urban getaway among nail salons in San Francisco, Cocoon Urban Day Spa has in-store a very nice selection of quality services, all expertly done by a team of highly commended estheticians and technicians at a luscious space, calm surroundings and friendly ambiance. Everything is professionally done at Cocoon together with the trendiest and in-demand craze for a spa goer. Enjoy an exclusive laser hair removal, Botox, body massage, mani and pedi, Juvederm, Latisse, brazilian blow-out and tanning. Drop a “Get near me!” sign on a juicy and jazzy body, when you leave Cocoon’s doors. With 11 years of success, Atelier Emmanuel is a very spacious modern salon and day spa located at San Francisco, near the Union Square. It specializes in French hair designs and full nail care services. From a low price of $12 or a highest fee of $65, see beauty, excellence and elegance in action at Atelier Emmanuel. 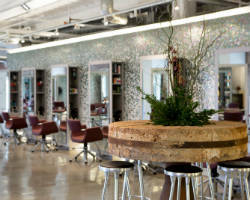 Inside, find a team of salon experts, aestheticians and salon gurus. They would be all willing to help you in your 101 fashion need. For a full celebration, you wedding deserve Atelier Emmanuel. LUXSF is located inside the Hayes Valley neighborhood of San Francisco. Find a group of dedicated professional nail technicians, who greatly knows their stuff and has been highly awarded for it, as reviews have said. LUXSF endow guests with a list of natural nail services together with exfoliation, deep hydration, anti-aging healing process and natural age spot defiance. Relax, rejuvenate and spoil yourself to a rare retreat, today. For men, the salon offers a guy’s manicure and pedicure, while children can also avail of the kiddie enhanced procedures. Burke Williams Day Spa was opened by Bill and Theresa Armour in 1984. Together, they have enlightened the salon industry with new ways and artistry to body care, skin treatment and nail features. Its facilities take pride of a world-class European influence. Today, Burke Williams has been known at San Francisco and is situated inside Westfield Shopping Centre. This branch of the day spa is, actually, their largest and most extravagant wing, bearing more than 16,500 square feet, 15 massage rooms, 4 nail care chairs, 6 facial rooms and the popular wetroom. 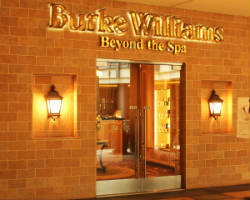 Burke Williams is the world’s finest spa in California. For the most numbered spa pedicure stations, H & T Nail Spa has what you need to have a lavish and deluxe pedicure after a stressful day. It uses specially added crystal clean pipe-free pedicure foot spas. For spa parties, the place is also open for your fun social gatherings like birthdays, meetings and bridal showers. Take a hold of the low low prices at the best salon today, the H & T Nail Spa. Across nail salons at San Francisco, CA, this place is just right for local brides of the metro. For the metro’s top Bridal Nail Design Expert, Lavande Nail Spa is the choice for you. Now, local brides of the bay area can avail cheap and affordable nail salon deals. Lavande also has the biggest selection of bridal nail polish from OPI, Essie, Shellac and many others. Match them to a couture designed gown. Choose a rose pedicure to experience a vanilla scented foot bath with rose petals or a sugar scrub exfoliation. Going simple sometimes isn’t enough. The salon takes pride of a team of professional nail artists trained to make you look dazzling on the big day.